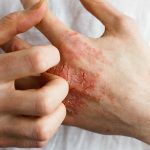 Psoriasis and eczema are common skin conditions with approximately 31.6 million Americans having some form of eczema and 7.5 million afflicted with psoriasis. 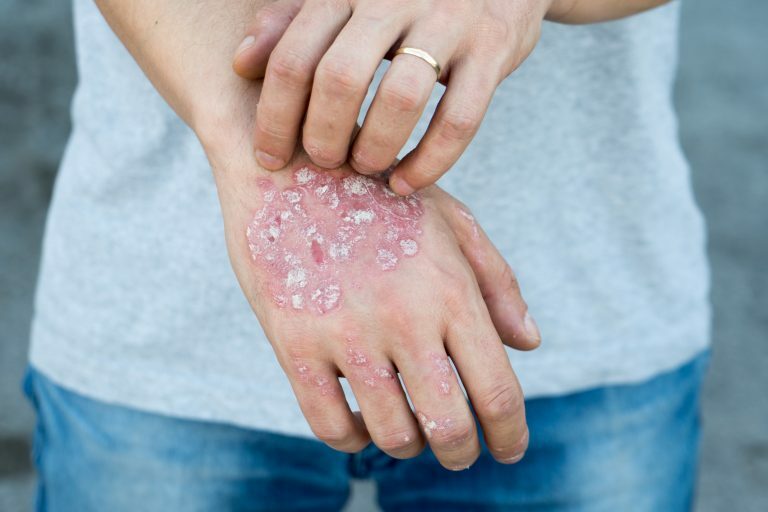 If this includes you or someone you know, before you reach for a potent, over-the-counter (OTC) pharmaceutical try these 5 natural remedies for psoriasis and eczema. OTC meds often relieve immediate symptoms such as itching but often contain harsh, synthetic ingredients. Plus, conventional remedies rarely address the root cause. These natural remedies will give you the option to try plant-based formulas that are just as good or even better than pharmaceuticals. In addition, some of these remedies could address the root cause of your psoriasis or eczema that doctors will rarely suggest you try. Psoriasis is a thick patch of white scales. Psoriasis is a chronic autoimmune condition that results in the overproduction of skin cells. The dead cells build up into silvery-white scales. The skin becomes inflamed and red, causing serious itching. Eczema aka atopic dermatitis is reported as a hypersensitivity reaction. This causes the skin to overreact to certain triggers, such as dyes, fabrics, soaps, animals, and other irritants. Try one or more of these natural remedies for psoriasis and eczema to see if symptoms lessen over time. Try some high grade CBD (cannabidiol) oil on a patch of your affected skin. CBD oil is derived from the male marijuana plant and contains no mind altering THC. It is safe and legal in all US states. VCO is a natural ant-inflammatory, anti-fungal, anti-bacterial and natural hydrator that may help your skin calm down and heal more rapidly. Try some on a small area and cover to see improvement. 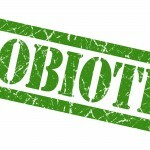 Taking a daily probiotic may ease and possibly eliminate psoriasis or eczema rashes. Many researchers believe that an imbalance in the gut microbiome often contribute to skin compromise. Sometimes it is a combination of natural ingredients that packs the most punch. Wellness Mama recommends this recipe for a healing salve to sooth and restore skin compromised by psoriasis and eczema. It may take some legwork to gather the unique ingredients yet it just may be the remedy you’re looking for. Infuse the herbs into the olive oil. There are two ways to do this. You can either combine the herbs and the olive oil in a jar with an airtight lid and leave 3-4 weeks, shaking daily OR heat the herbs and olive oil over low/low heat in a double boiler for 3 hours (low heat!) until the oil is very green. Strain her herbs out of the oil by pouring through a cheesecloth. Let all the oil drip out and then squeeze the herbs to get the remaining oil out. Try one or more of these 5 natural remedies for psoriasis and eczema while maintaining a healthy plant-based diet and good exercise program. Also, don’t forget to drink more clean water every day for optimal skin support.